The Lancaster County Medical Society considers and acts upon matters affecting the practice of medicine and the health of the public. The Lancaster County Medical Society (LCMS) has been actively involved in the Lincoln medical community since 1898. In 1902, LCMS had 52 physician members. Membership and activity increased as the community expanded. LCMS has endeavored to address community health issues from a leadership perspective, advocating for both physicians and patients. During the society's history it has been integral in the development of programs to improve public health and advance the practice of medicine in Lancaster County. In addition, the physicians of LCMS founded the Community Blood Bank of the Lancaster County Medical Society now known as The Nebraska Community Blood Bank. The Lancaster County Medical Society over 650 physician members, representing 94% of the practicing physicians in the county. LCMS acts as an information hub and provides numerous benefits and resources for its physician members. 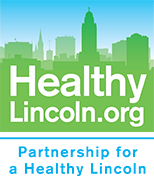 LCMS works in collaboration with other community health organizations to provide programs and services to enhance patient care and improve public health and safety.